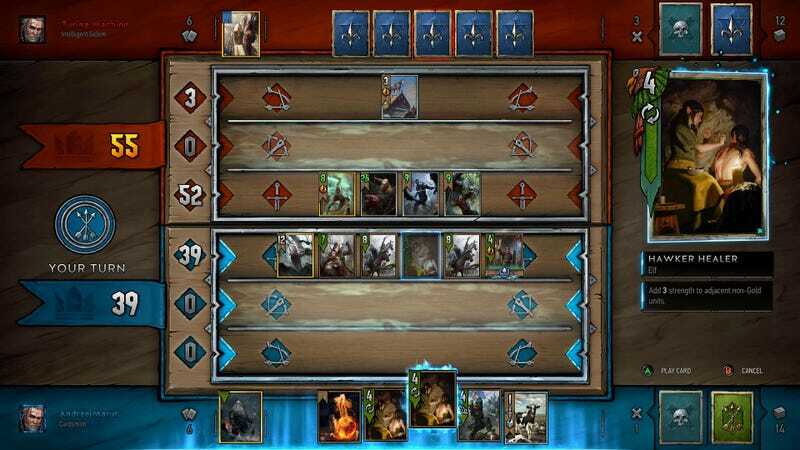 Image via CD PROJEKT S.A.
Gwent, the card game from The Witcher 3, enters public beta on May 24 for PC, Xbox One and PlayStation 4 players. Today at 3 pm EST, the CD PROJEKT RED Twitch channel will broadcast an overview of the beta’s offerings. Card collections and player progress will be reset, so new players should feel free to hop in.